Clarify isn't just another boring screen capture utility. Clarify is an integrated screen capture, image editing and text authoring application that lets you save money and time by creating clearer emails and documents. If you owned Clarify then the next time you needed to prepare a how-to for a customer, detailed instructions for a contractor/co-worker or a bug report for tech support you wouldn't write a boring text-only email. You would create a beautiful multi-step, multi-image document that communicated your point clearly and made you look like a superstar, all in less time than it would take to write that boring email. Clarify has everything you need to communicate more clearly -- screen capture and image tools including arrows, rectangles, ovals, highlights, blur, crop and resize, frames and borders, all integrated with a simple outliner and text editor! Plus, you can share your work online via Dropbox, Clarify-it.com (Clarify's free image sharing service), email or PDF. Creating communications that get understood the first time has never been easier! After you purchase Clarify it may be used indefinitely. Clarify is licensed per user, so if more people are going to use Clarify you will need to purchase additional copies. Each license allows installation on all owned computers, but Clarify may not be used at exactly the same time on each of them. Software Guy Most screen clippers save images as a file or a clipboard archive. 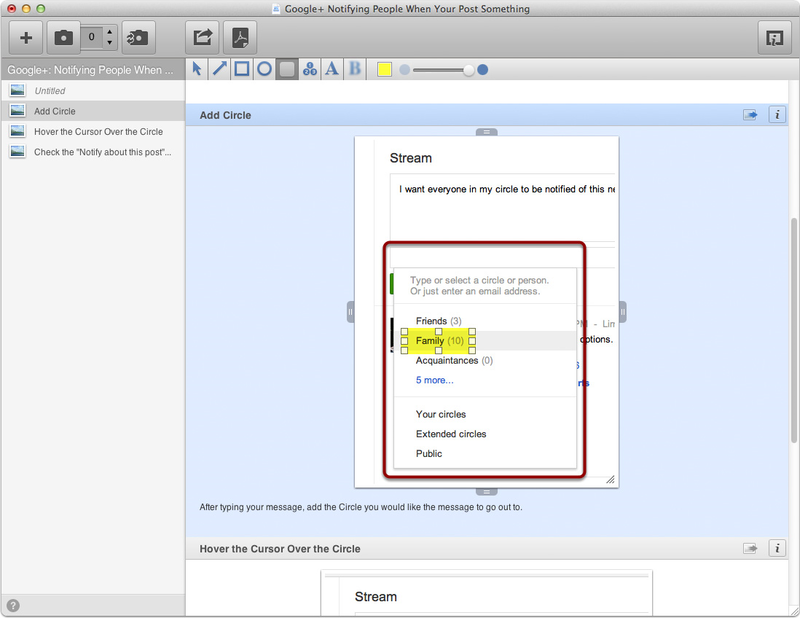 Clarify is different as it saves screen clips into an open document with its own built in editor. The document can be uploaded into email, or saved as a pdf or saved as a rich text file into a folder. Individual screen grabs can also be saved conventionally into a folder. The built in editor makes Clarify a great time saving tool when you are taking several consecutive screen grabs and organizing them into a single document. You can mark them up too - perfect for tutorials, explanations or themed notes/documents. 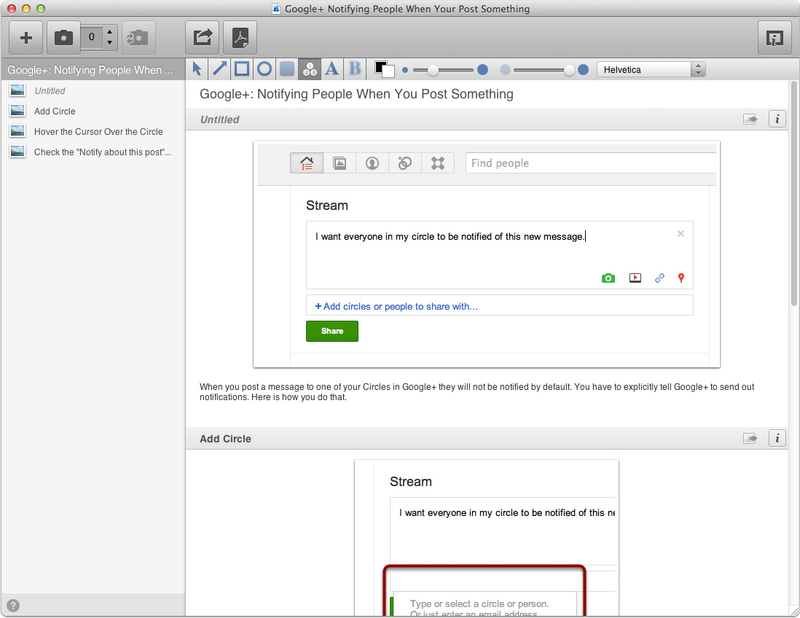 Clarify has lots of other features, and works on Macs and PCs. Download it and give it a try. Danny Am this capture software to testing with a trial version this one is really unique! Jon Spain It's coming up full price, please correct! Jon Spain The discount is not being applied! Previous message failed. Constantin Florea @Jon Spain - Could you please clear your browser cache and try again? If that doesn't work please try Chrome or FireFox (with the browser cache deleted). Jon Spain Thank you, I am at work and I'm not allowed to do that. No, I don't know why either! As I only have IE here and I won't have time after work to use another computer, I guess I'll have to pass. Alternatively, may I, please, have an alternative PayPal link? Jon Spain Closing and restarting IE led me to the lower price, job done, thank you. Danny This is a must have software! Michel Tenreiro I have downloaded the trial version and it's really a great tool.. I would like to have the option to add logo and the document title on generated PDF, but it's not possible at the moment. I read in the support page (http://help.clarify-it.co...ustom-text) that you are planning to add more features to custom PDF templates. The update will be free if I buy the software through this site? Danny I have spent many capture softwares used as Ashampoo Snap 6, Screenpresso, WinSnap. But these rises above! Fast and more features than the competitors! Brian W To Clarify: I recommend adding examples of the output. I did not see any. I am not inclined to download a program to find out what it can do. PDF improvements will be part of Clarify 2. We don't have a release date yet for Clarify 2, but it will be a free upgrade to people who purchase through the BitsDuJour promo today. 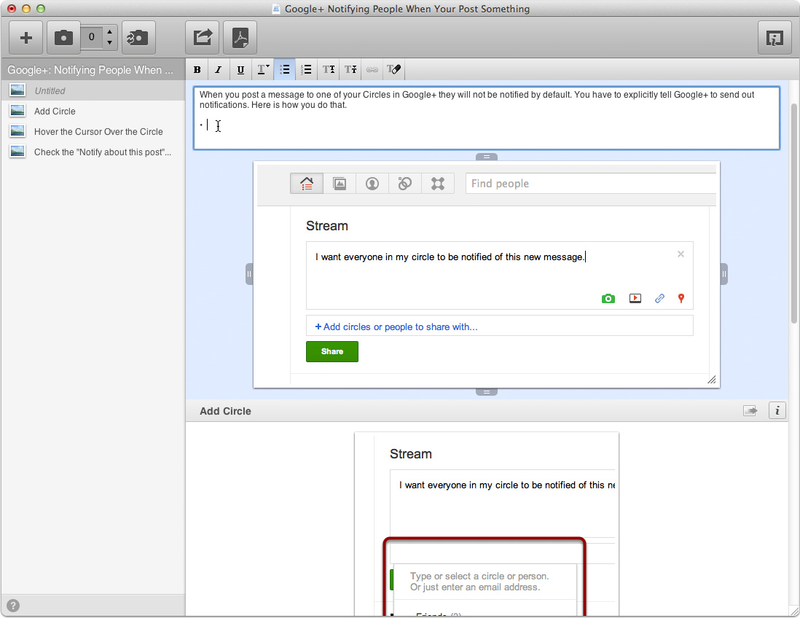 You could output the same document as a PDF or share to Evernote or Dropbox. Would you consider extending your offer? I need more time to test the program. Please. ? I am confused about font (bigger or smaller)--instructions say to hightlight text and goto format and press bigger or smaller--but whenever I do that, they appear grayed-out and therefore, unusable. Does the ability to change font size apply only to some areas of text we type into? Greg DeVore @brenda - We offer full refunds if you aren't satisfied. Adjusting the font size is only for text annotations on images, not of the paragraph text. TopDog OOOOPS, I mistakenly order the license for a MAC and need a Windows key. Can I have the MAC key killed and get a windows key? Michael R. Is there a way to update an image via command-line in your clearify-it image sharing service? So it would be possible to embed updates via a command-line, like e.g. Michael R. As it seems there is not possible export in an editable format (like e.g. Word or RichText). So there is no way to modify the output before giving it away. Do you have this on your todo-list (and is it free for today's buyers)? brenda adams I am trying to purchase, however (with 1 hour left) the price is showing $29.99 and I have no discount code to enter into the Coupon field. What to do? Pacific Time is 10:57 10/11/2013. brenda adams I switched from my Chrome browser to Mozilla Firefox and was then able to purchase for $14.99. Curious Steve Great app! I use it daily while providing customer support and the upload to clarify-it.com is just icing on the cake. Danny I have bought a few months ago WinSnap here. It seems that this also if anything can Clarify. So these two are as well. Anyone here know the differences between these two? brenda adams My posts disappeared. Dang, that will teach me to save em as I type the longer ones. Anyway, switched to diff internet provider and was able to get the offer for 50 percent off price. Within just about 2 minutes I needed to use the program and found it has all kinds of little goodies that work GREAT. I went to help and looked over the wonderful HELP examples (that use Clarify to clarify,,,hehe and I am just THRILLED. Greg DeVore @Scott - Once support is back in on Monday they will get you taken care of. @Michael - No, there isn't a way to update images via command line. @Danny - I haven't used WinSnap, but I think it is more of a traditional screen capture tool. Clarify is kind of like a screen capture tool combined with a word processor for creating "how-to" documents. @brenda - So glad you like it :). If you want to get the content into something like Word, just copy it as Rich Text. You can then insert it into any word processor and modify it. Charles Bradford Will this work from a flash drive? I am not allowed to install unapproved software on my office computer but I can use flash drives. The approval process is a nightmare. Greg DeVore @Charles - It could run but it will try to install preferences on the host system. So you might run into problems there. Charles Bradford I got the trial version to work from a flash, it was pretty easy to do as it asks where you want to install it. I'll but it now. Just a Texan Just tried to buy the software. Price in shopping cart was $ 29.99 not $ 14.99.
csp csp Greetings. I just bought the software, paid $14.99 + tax. But when I got to download, as instructions, what came up was: "Download a free trial of Clarify/ Includes a free 14-day trial." What does this mean? I bought the software or a trial? Constantin Florea @Charles Bradford - Could you please clear your browser cache and try again? If that doesn't work, please try another browser: IE, Chrome, Firefox in this order. Just enter your registration key in by selecting Help Registration. @Just a Texan - you may need to clear your browser cache or try a different browser. @Charles - That is great! Glad you got it working. Charles Bradford Hey guys I've been playing with this, working through the tutorial and I am impressed! Good Job! Hawkeye Yes, the program looks very impressive, however, one downfall for me, it does not have an export to HTML option. Are there any plans to add an option to export to HTML? Just a Texan Tried all day yesterday to buy the software using 2 different computers and multiple browsers. Never could. Can anyone recommend a product other than Clarify to look at?